There are a variety of anti-aging products in the store shelves nowadays. They all promise to brighten your eyes, diminish your fine lines, and remove your wrinkles. In short, they promise to help you win the fight against aging. Sadly, not all of them stay true to their promises and claims. So to help you know which ones are worth your money and your time, we’ve rounded up the best skin care products according to users who can attest to how effective they are. This eye gel works wonder to all skin types and contains more than 20 carefully chosen anti-aging ingredients to help restore the health of the skin around your eyes. If you look closely on the label, you’ll also find that it doesn’t have any harmful ingredients like parabens and sulfates. No wonder it has over 2000 reviews of users who have proven the amazing results this eye gel helped them achieve. NIVEA is one of the skin care brands you can definitely trust. Their impressive line of products includes this facial wash which, if used daily can make your skin look younger. It effectively moisturizes the face without leaving any residue and tight feeling. As one user remarked, “This was a small investment that turned out wonderfully”. Made with high quality clay and fragmentized green tea, this facial mask is a must-have for men who are looking to maintain youthful skin. When used once or twice every week, skin is transformed from dry to healthful and youthful. One user who has tried almost all face masks for men said “This cleaning face mask is the best I've ever tried so far”. We all know that the sun’s harmful UV rays can cause damage to our skin. So if you have to go outdoors, make sure you apply this SPF moisturizer. This contains Astaxanthin, a powerful ingredient found in red algae, which shields your skin from radiation. It also has a rich concentration of Vitamin C Ester and Alpha Lipoic Acid which shrink large pores and protects your skin cells. 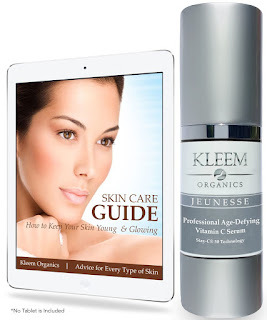 Achieving youthful glowing skin is a process and it does not happen overnight. Now that you know which eye gel, facial wash, facial mask, SPF moisturizer, and serum are the best for almost all types of skin, be sure to include them in your daily skin care regimen. With consistency and commitment matched with the best skin care products, you’ll conquer all the signs of aging.